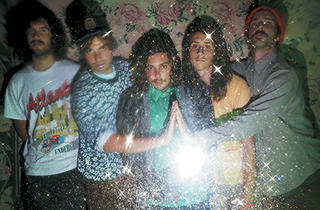 Kooky California combo slums it in style. 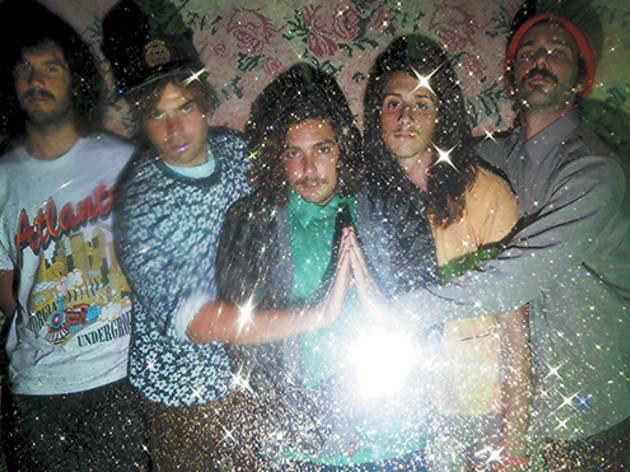 I like the Growlers because I don’t know what the hell they are all about. They throw around the (awesome) term “Beach Goth,” but that’s all kinds of misleading. They deal with riffs and vibes that refer to minimalist surf and garage, but despite those well-executed elements the cumulative effect has nothing to do with either of those genres. It’s not hard to see why folks call them psychedelic, but under their patina of murky dreaminess is music that seems too deliberate, grounded and contemporary. On their new, long-delayed album, Hung at Heart, the production sounds spare and kind of cheap, yet the exquisitely recorded vocals seem pretty slick and lush, so it’s hard to tell whether they’re going for “lo-fi” or something higher quality, or whether they’re just high. Brooks Nielsen’s vocals may seem too Julian Casablancas for comfort, but that lazy resonance fits these pleasantly moody, non–surf/garage/psych songs far better than it does the Strokes. Basically, these California kooks recall the studio band that cut “Monster Mash,” if it were working on a darker, more serious follow-up. Or maybe it’s just the sound of indie overachievers triumphantly slumming it. But if these descriptions don’t help you understand what this band sounds like or where it’s coming from, then good! You and I are in the same boat. By the beach. Getting goth.